Sunny to partly cloudy. High 79F. Winds WSW at 10 to 15 mph..
Cloudy skies early, followed by partial clearing. A stray shower or thunderstorm is possible. Low 56F. Winds WSW at 5 to 10 mph. 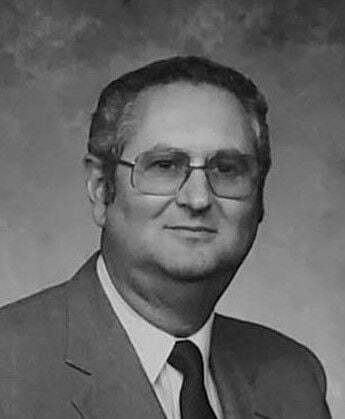 Ernest Farmer Jr., 87, of Kingsport, formerly of Morristown, passed away Wednesday, April 10, 2019 in Kingsport after a courageous battle with cancer. He was a member of Colonial Heights Baptist Church in Kingsport and was a veteran of the U.S. Army serving during the Korean Conflict. He was preceded in death by his wife, Doris Ann Farmer; mother, Bethel Lorene Farmer; and grandson, Nicholas Farmer. He was survived his sons, Rusty Farmer of Knoxville and Mark (Daphney) Farmer of Kingsport; granddaughter, Elizabeth Farmer; brother, Delano (Wanda) Farmer of Vienna, Virginia; and sister, Fayrene Magnotti of Vienna, Virginia. The family will receive friends 5 – 7 p.m. Monday, April 15 at Colonial Heights Baptist Church in Kingsport. Funeral services will follow at 7 p.m. at the church with Dr. Greg Burton officiating. The family will also receive friends from 10:30 – 11:30 a.m. Tuesday, April 16 at Westside Chapel Funeral Home. Interment will follow at 12 p.m. at Jarnagin Cemetery with military honors.